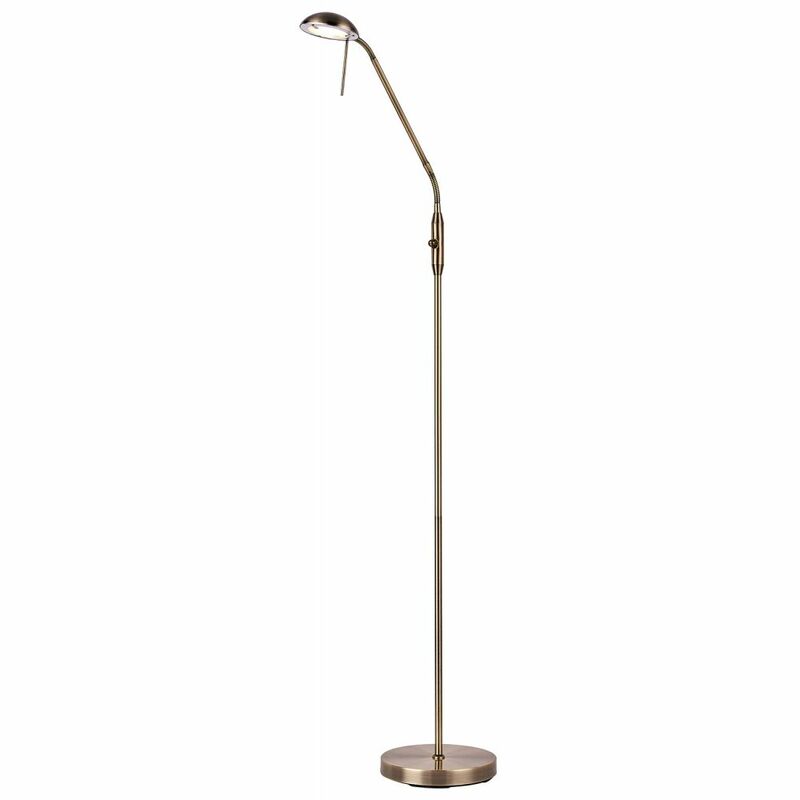 High quality and contemporary antique brass reading standard floor lamp. 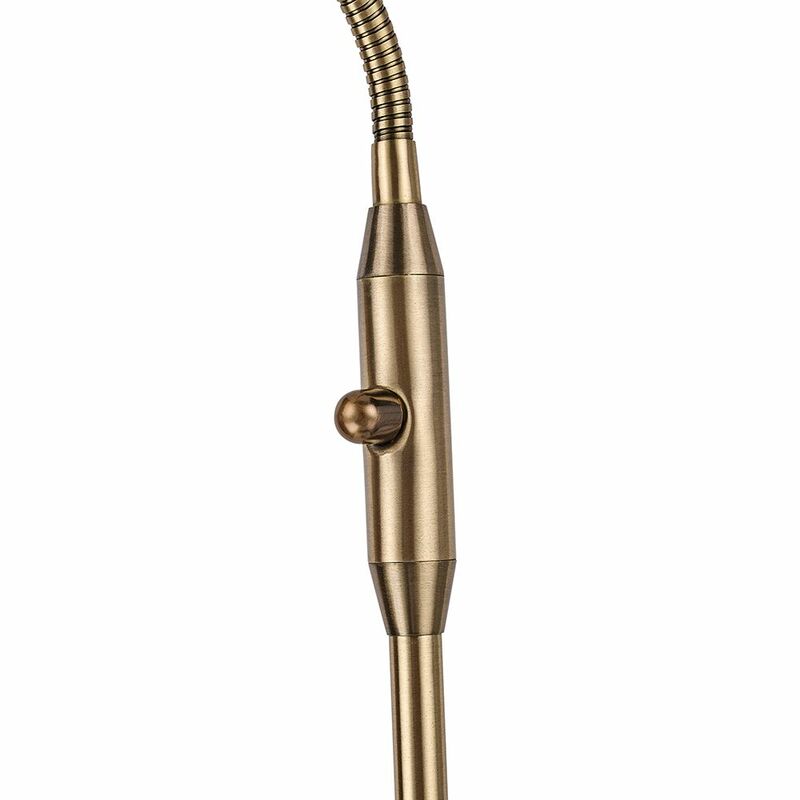 The metal head and top arm are fully adjustable in all directions. The base is heavily weighted ensuring stability. 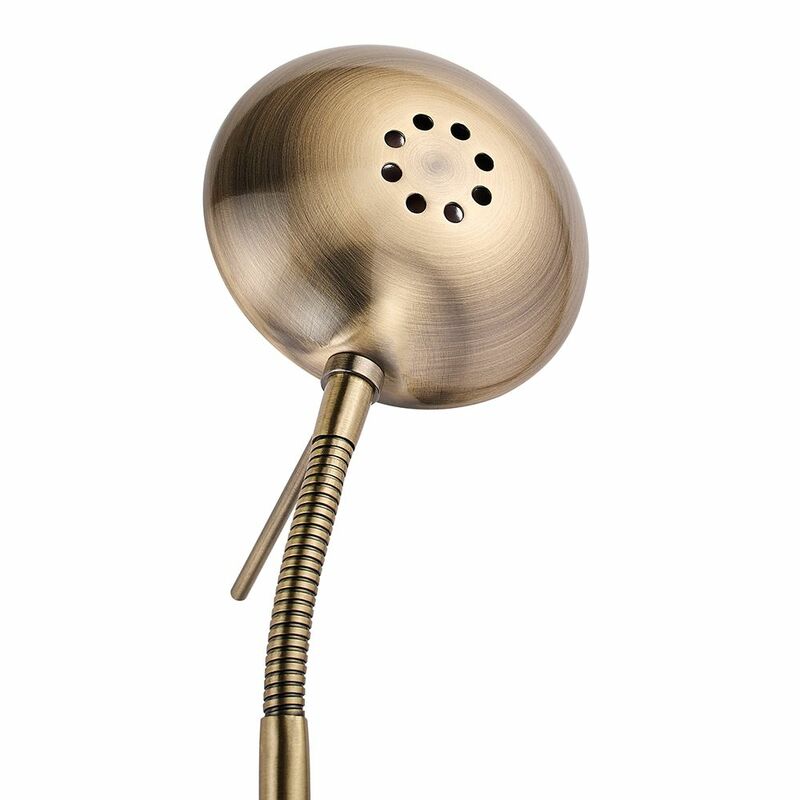 Features rotary dimmer switch button located on the stem. Please be sure to make sure that the bulb to be used is dimmable. This item requires 1 x 33watt maximum G9 light bulb (not included). 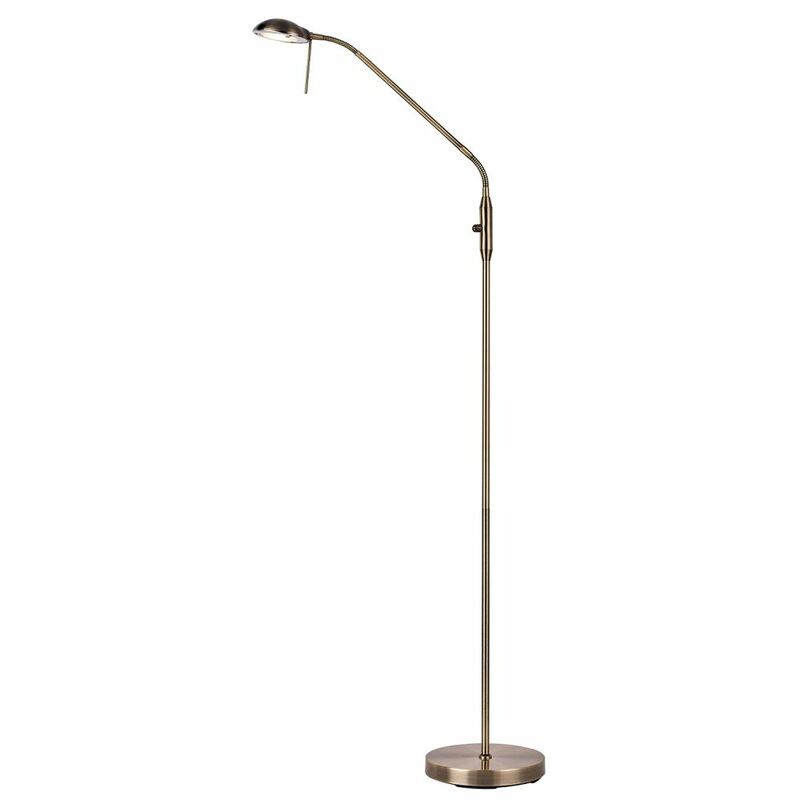 The lamp has a height of 150cm, the base has a diameter of 23cm.